Plyometric exercise is when you use explosive, fast-acting movements to develop muscular power and improve overall speed. In other words, it’s an exercise that allows muscles to exert maximum force in the shortest amount of time possible. Several types of athletes such as basketball players, boxers, and especially soccer players use plyometrics. But don’t confuse power with strength. The rate at which strength is converted into speed is what determines muscular power. Being able to carry out this task in a short amount of time is the key factor here, not your physical strength. Sound contradictory? It’s not, really. Put in another way, a bodybuilder with strong legs might easily perform squats with heavy weights but might not jump as far on a standing long jump as a soccer player who has plyometric training. The reason for this is that the soccer player’s plyometric training has allowed him to condense the time his muscles need to apply the maximum amount of force required to get the job done. This all translates to greater power development with each muscle contraction. But this doesn’t exactly explain how plyometric training works, does it? Well, keep reading. In order for a muscle to move it has to shorten, or contract. But if the muscle is lengthened just before it contracts, it will produce more force because it has a high storage of elastic energy. Simply put, elastic energy is internal energy that is converted into mechanical energy. This energy releases quickly and is the fundamental clockwork of plyometric training. To get an idea of how plyometric exercise works, think of your muscles as several slingshots. When you pull back a band, you tighten it more and more, and you can feel it itching in your fingers to release rapidly. The more you pull it back, the stronger the force will be. This kind of thrust is the same kind that your muscles use when you kick a ball, jump to protect the goal, or perform a bicycle kick. Basically, your body is a slingshot ready to spring. WARNING! Limit your plyometric training on hard surfaces. Obviously it will be difficult to do this if you’re running on stadium stairs, but try to do the rest of your plyometrics on softer surfaces such as grass or dirt fields. Doing so will reduce unnecessary stress on your joints and knees. • Run up the stairs in a stadium. But vary the steps a little. First, touch each stair with each step but then skip steps to make it more difficult. Then using both feet, simply jump up a flight of stairs. • Place feet together - and hop side to side and forward and backwards. • Standing long jump – Use this for height. See how far you can jump! • Jump over a ball on one foot - alternating with your left and right feet. Then try jumping over the ball from front to back. Great for the knees and MCLs, especially for rehabilitation. • Hurdle Hopping – Jump forward and backward over a hurdle (or other barrier such as a cone) with your feet together. 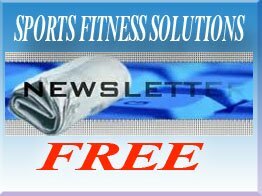 • Bounding – This is when you take long strides while running. Jumping with two legs will reduce the impact when landing, and bounding up stairs is helpful to develop both the vertical and forward jump. But be careful! Bounding up stairs can be dangerous! • Hold Drills/Hop and Hold – Same as bounding but in between bounds do a little hop. For example, you want to bound, then stop and then do a quick hop. Then bound again, then another hop. • Skate Bounding – Skip for distance and height. The object is to achieve longer hang time. 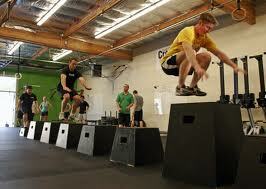 • Box Jumps – Basically, you jump on and off of a sturdy box or platform to develop your vertical jump. Typically, you use two feet, especially for higher elevations, but more rigorous sessions can be done with a smaller box and both feet. • Down Jumps/Depth Jumps – While standing on a platform, jump down. But during the descent of the jump, prepare yourself for an immediate jump upwards again. • Tuck Jumps – All you do is pull your legs up into your body while jumping. • Various sprints - To work on diverse groups of muscles – slalom, zigzag, weaves, cutting in and out of cones, angled runs, etc. Challenge yourself! You can create a circuit around a field by forming several stations where you perform whichever jump you wish. Create different circuits for yourself and see if your friends want to join in. Maybe you can race. The routine will be intense but the results will be well worth it. Take a day off when you’re training a lot. The body needs a day of rest to recover and refuel.